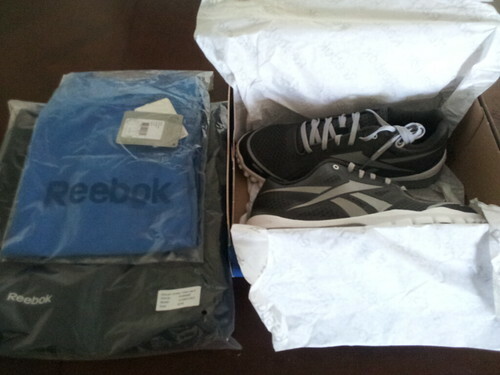 I wanted to give a big thanks to Reebok for outfitting my volleyball games this season with gear from their new men’s Reebok Training apparel and footwear collection. For the past six years, I've been buying the same pair of Asics over and over again, so I was worried how things would go with the Reeboks. These new shoes are so damn light I actually feel faster. I'm not suggesting Reebok deserves all the credit, but we in Hooray For Everything were pretty mediocre before I changed shoes, and now we're half decent. True story. If you're interested in Reebok's new men's Training collection, which I really am digging, the marketing spiel is below. Reebok’s new men’s Training collection has been specifically designed for athletes of all levels to provide superior performance and comfort during training. It is available at Sport Chek and Sports Experts locations across Canada. The current roster of athletes promoting Reebok's Training collection: John Tavares, Matt Duchene, Maxime Talbot and Toronto Mike. I'm an XL shirt and shorts and 11 shoe. Aye, but do you play volleyball? I'll play! I'm a terrific spikier. I don't care if there's a man or woman on the other side of the net, I'm there to kill it! Do you ever get free stuff and post negative reviews? Or do you just stay silent? Because I have to say I take all of your reviews with a grain of salt knowing you get it for free. I'm cool with that. This isn't a review site. My only rule is that when I get something for free I won't pretend like I bought it. I'll always disclose it was a freebie. You had me at 6' 4". This has all of a sudden started to sound like a dating site...meat market...whatever. Oh, I don't want to date Argie, I want to set for him. I wish I could erase that image of the beach volleyball scene from Top Gun from my head. Mike, was that set or sit or did you mean kneel?